Wow, looking at the design pictures for the "Terrace House" block, this is a real feat of engineering. Once released, I will be interested to read what the benefits of building this circa 16 storey out of timber has been. When built to this magnitude I suspect the comparisons between timber based and conventional will be amplified. In particular differences in weight, time to construct, portion of offsite manufacturing and, of course, carbon footprint. 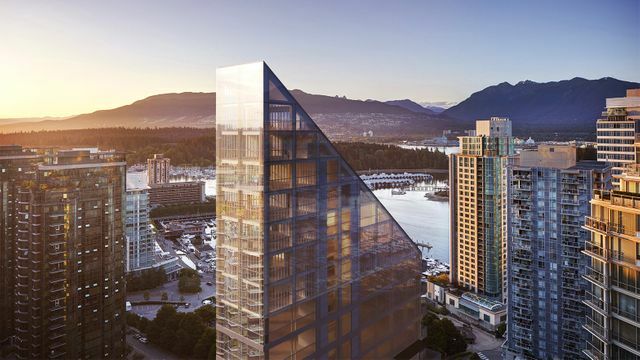 Japanese architect Shigeru Ban has been commissioned to design a residential tower for Vancouver that its developers claim will be the tallest hybrid timber structure in the world. Called Terrace House, the apartment tower is slated to rise near the waterfront in central Vancouver, where a curved apartment tower by architect Kengo Kuma is also being built. Although information about the Ban-designed structure's height has not yet been disclosed, a rendering of the building shows a glass-clad tower with a sloped roof. Its upper portion will be formed by a timber frame supported by a concrete and steel core.